Newton Abbot landlord Richard Knibbs, licensee of Ye Olde Cider Bar in East Street, has received the National Pomona Award. The award was made by the Campaign for Real Ale, who also campaign for real cider. CAMRA’s annual Pomona Award is named after the Roman Goddess of apples and is presented to the person, place or thing that has done the most to promote real cider or perry in the last 12 months or for their ongoing outstanding work in this field. The award was in recognition of Mr Knibbs dedication to real cider and perry over the last 40 years. 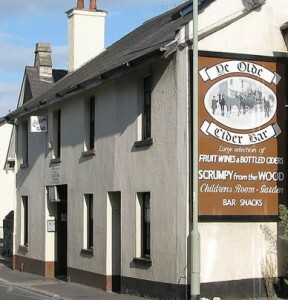 Ye Olde Cider Bar is one of the West country’s finest cider houses, selling only farmhouse cider. If you are in South Devon and fancy a pint of the good stuff, you will be in ‘award winning’ hands!